Womens smart, comfortable patent leather court shoe.Sizes 3-8 . 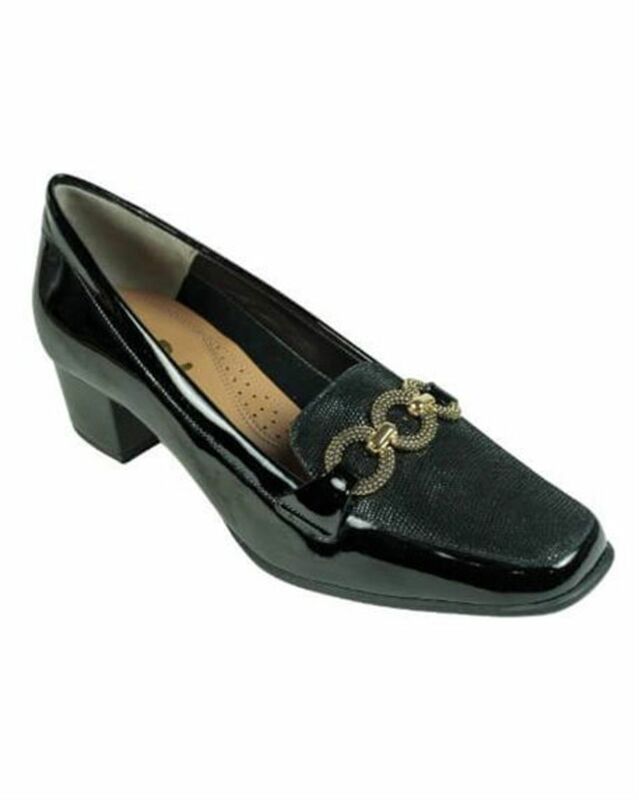 Smart, comfortable patent leather court shoe with mock lizard and decorative metal detail to front. 1½” heel and rubber sole for added grip. D fit.